Businesses rely on parts and materials for their products. In order to be competitive, they need to have efficient logistics. While most businesses cannot buy a shipping container to lower costs, there are still plenty of options available. If your business sources from several suppliers, the best shipping rates can have a major impact on your bottom line. Rather than shipping several smaller packages, business owners can consolidate those packages into one shipment. This is known as package consolidation. When included in your logistics, package consolidation can dramatically lower your freight costs. Keep reading to make the most of package consolidation. Before you can save on shipping costs, you need to know how much you’re currently spending. Many businesses track shipments on an order by order basis. However, you need to gather this data into a digital format for analysis. This way, you can capitalize on the major trend of reducing freight costs using data. To get started, create a database that contains all of your orders and shipments. Each record should have details about the package weight, cost and contents. With a database in place, you can sort through all of the small shipments. Usually, you will find that the smallest shipments also have the highest costs. These are great opportunities to consolidate shipments and save on your logistical costs. The simplest way to consolidate packages is by ordering in bulk. When your company works with a supplier over a long period of time, you can build a relationship to buy in higher quantities. This would lower the cost of shipping for each material or item. 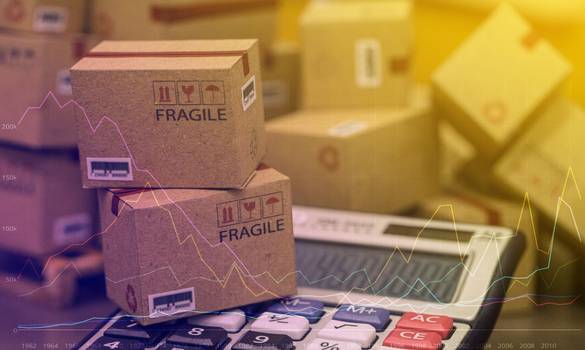 Consider implementing new systems like an ERP software for small business to manage your current shipping costs for each package. There are many shipping technologies overseas that streamline the ordering and fulfillment process. Using these systems along with your database, you can identify inefficiencies or opportunities to lower costs. By putting a consolidation process in place, your company will find new ways to save on smaller shipments. Eventually, businesses turn to third party consolidation services to manage their shipments and further reduce costs. Depending on where you are shipping goods, package consolidation companies can provide assistance in shipping, customs and taxes. Especially for international companies outside the US, shipping for each package is very expensive. According to BluePostal, an international forwarding company, “Consumers and business owners worldwide benefit from establishing a U.S. address for package and mail forwarding services.” Certainly, a third party provider can streamline shipping and costs across borders. Next, have your shipping team decrease the package weight when consolidating packages. When purchasing many materials and supplies, they often have excessive packaging materials in the box. Of course, if the items are fragile or perishable, the proper unique packaging is required. Still, there are quite a few changes that companies can make while consolidating packages to lower costs. Take out any extra wrapping. Switch to lighter boxes. Additionally, unwrap items so that they fit compactly into the new box. These are all great ways to lower the shipment weight along with your shipping costs. While consolidating packages, you have the choice when to ship out your materials. Some providers will give you a 30 day window to send your package. Like most businesses, you might need them right away. But, if your customers can wait a few days, it might be worthwhile to save up to 10% on low volume days. Typically, these are Mondays and Fridays. Negotiate with your carrier about when to ship your package. If you add some flexibility to your schedule, you could end up saving even more on your shipment costs. Business should be aware of how to lower their shipping costs. Fortunately, package consolidation can lower freight costs. Firstly, you will need to understand your current shipment costs, frequency and weight. This gives you a database to analyze your shipments. Then, you can develop a process to reduce the number of shipments. With some simple planning software, you can consolidate many packages into one. Eventually, you may want to partner with a third party to manage all of your package consolidation. If you are an international company, the service can provide you with a US address too. If possible, decrease your package weight throughout the process and ship during off-peak times. All of these steps will lower your freight costs with package consolidation.